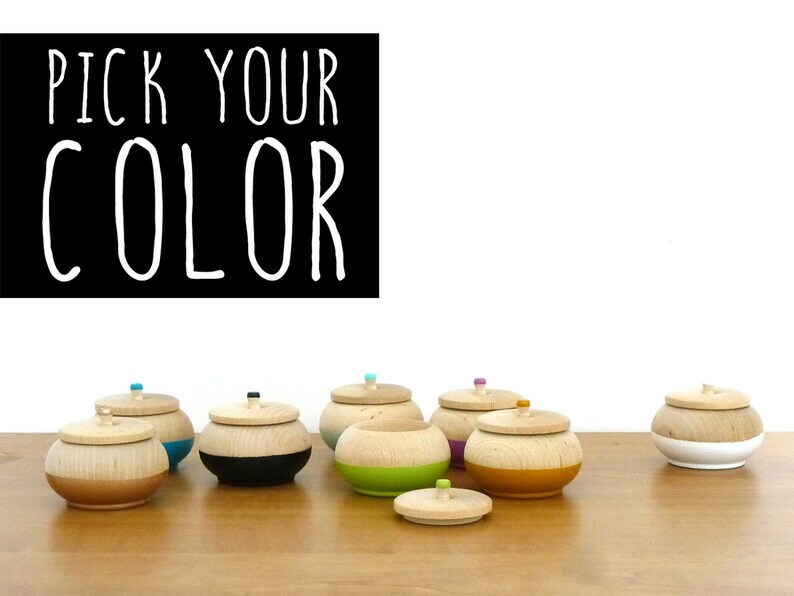 Store special jewelry or other tiny items in style with this pretty, minimal wood painted box in your choice of colors. Boxes make a beautiful gift, especially for traditional 5th wedding anniversary of wood. Looking for a one-of-a-kind bridal shower or wedding gift? Give a special memory to an engaged or newly married couple by choosing boxes the same color as the wedding colors. Add a pop of color to a teen's bedroom or college dorm room. Have your ring bearer carry wedding rings down the aisle in a keepsake box. Use it to store wedding rings, small earrings, bracelets, necklaces, coins, small candies or anything petite. Perfect choice for those "impossible-to-buy-for" people in your life. If you would like a box with multiple colors or patterns, please send me a message so I can create a custom order for you. Looking for a color not listed here? Message me and I'll see what I have in stock for no extra charge. Not only is it adorable, but it arrived so fast!